Have you ever gone to a social gathering in the hope of connecting with new people… but wanted to leave after several frustrating interactions where you just can’t seem to “click” with anyone? Sometimes it can seem like the harder we try to reach out and connect with others, the more lonely and discouraged we can end up feeling. When your efforts to connect with people seem unsuccessful, it makes sense to try a new approach. One tool that you can use for connecting in a more successful way is called Mindfulness of Others. This is one of DBT’s Interpersonal Effectiveness skills, which help you communicate more clearly and effectively so that you can get what you want and need in relationships. When you are not being mindful of others, you are focusing only on yourself, which makes it difficult to form new relationships. Using Mindfulness of Others can shift your perspective, allowing you to focus on the other person and accurately gauge their response. At her new job, Sarah’s coworkers invite her to lunch. Social situations make Sarah anxious, but she would like to have work friends, so she joins the group. Sarah tries to join the conversation but feels self-conscious, worrying that she isn’t smart or witty enough. She doesn’t say much for the rest of the meal. Back at her desk, she judges herself for being too awkward and quiet. Jenny wants to make more friends, so she goes to a dinner party where she doesn’t know a lot of people. Someone at the table starts talking about their recent vacation to Central America. Jenny has also been there, so she jumps in to describe her own experiences at length. She feels hurt and confused when people start looking away and getting up from the table. Jenny wonders if the other people at the dinner party just don’t like her. What did Sarah and Jenny get wrong? Although their behavior looks different, the outcomes are similar. Both Sarah and Jenny wind up feeling alone, frustrated, and disconnected. In truth, the problem lies not in who they are, but in how they are approaching the goal of making friends. Sarah and Jenny are focusing solely on themselves, and not on the other people around them. Paying attention to others in a mindful, open-hearted and curious way draws people in. On the other hand, overly focusing on yourself in social situations makes you self-conscious and unable to read social cues, so others withdraw. Mindfulness of Others means paying attention to the people you want to connect with, without judgment but with genuine curiosity. Shifting your focus to being curious about others helps with social anxiety because when you are focus on the other person, you are not able to devote mental energy to worrying about what other people think of you. Make gentle eye contact in social and culturally appropriate ways. Avoid looking at the floor or over their shoulder, which can come across as rude. If you find your mind wandering, remember to get curious. Focus on learning something about this person as if you will be describing them later on to someone else. Turn towards the person as you listen. Notice urges to interrupt or share your own thoughts, and redirect your attention to what the other person is saying. Listen with an open heart, letting go of worry about how you are coming across or if others think you are smart or funny. If attempts to make social connections have left you feeling even more discouraged and lonely, it may help to shift perspective from your own internal experience to the external behaviors of others. 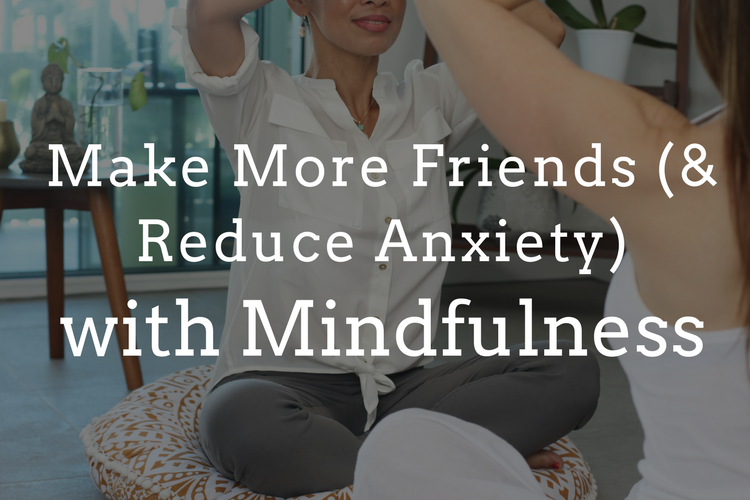 The tool called Mindfulness of Others is a different way to approaching social situations so that you have a greater chance of connecting with the people around you. You may find that a simple shift—from focusing on yourself to focusing on the other person—leads to a tremendous change in your enjoyment of social situations as people begin to respond positively to what you say and do. Wondering how therapy can help you make more friends and reduce social anxiety? Contact us to set up your first session. We provide individual therapy, DBT and couples therapy. The Bay Area DBT & Couples Counseling Center is located in the Castro district of San Francisco.